Beirut, April 13, 1975 : first official day of the Lebanese Civil War. The passengers of a Palestinian bus are massacred by the militia in front of Tarek and Omar, two teenagers from West Beirut. However, Tarek and Omar, determined to make the most of their youth to have fun, pretend to ignore the tragedy unfolding before their eyes. Especially as their school has shut down. Together with May, a young Christian girl from their neighbourhood who wins the two friends over with her charms, they hang out in the city and its street, looking for adventure. They become friendly with the neighbours, shopkeepers and militia and use a Super 8 camera to film what they see, turning the battlefield into a sort of playground. 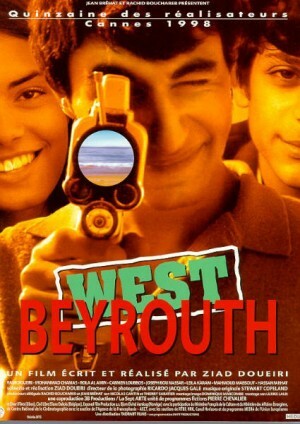 En 1975, alors que les chretiens maitrisent Beyrouth Ouest, la partie musulmane de la ville, deux adolescents du quartier et une jeune chretienne filment la ville en super 8. D'abord insouciants, ils sont peu a peu happes par l'engrenage de la violence.